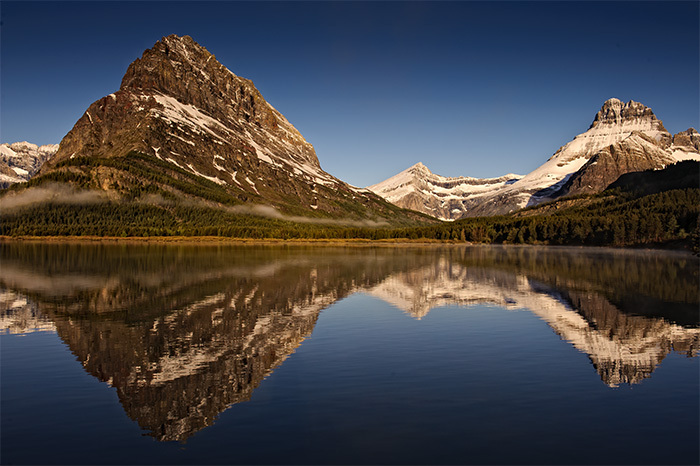 Swiftwater Lake at Sunrise. Photo © copyright by Vincent Mistretta. Metal prints have become a very popular product request particularly for landscape images. The image is infused onto a thin, rigid aluminum sheet with a glossy finish that provides deep, bold colors with excellent clarity and high contrast. Unlike all my other display options which involve a mounted fine art ink print, the metal prints involve an entirely different printing technique. The image is infused into a polyester coated sheet of aluminum in a high pressure heat press. The dyes sublimate from a solid to a gas, and transfer to the metal print, where they solidify in the polyester coating. These are very eye- catching, impressive prints. I have successfully printed and delivered images using this method at 4'x6' so the sizing options are almost limitless! !